OK, maybe “falls” is a bit grandiose. 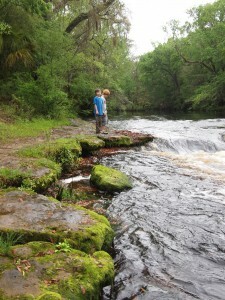 But I can tell you that there’s no finer spot than Steinhatchee Falls for a picnic, the start of a paddling trip or quiet contemplation. This favorite gathering spot has a boat ramp and the peaceful sound of the rushing river to recommend it. When you’ve got the place to yourself, as we did on a recent day when a rainstorm had just abated, look out for gopher tortoise, wild hogs, swallow-tailed kite, Swainson’s warbler, deer and turkey. Fishing, hunting, bicycling, hiking, and horseback riding are allowed. 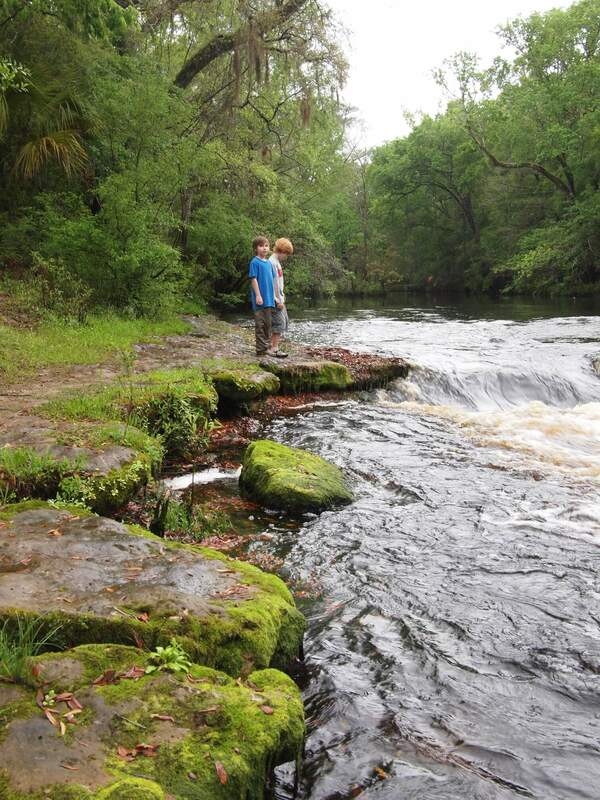 If you’re staying at Steinhatchee Landing, ask for a shuttle that will allow you to paddle downstream from the falls to explore a lovely part of the river.